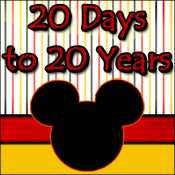 Just a few snippets from Epcot's 20th Anniversary Flower and Garden Festival 2013. 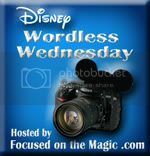 Thanks to Deb at Focused on the Magic for hosting this Wordless Wednesday Bloghop! Follow the link for more great photos! Ami, what an awesome slideshow! I love it. What a great slideshow! I'm even more excited about seeing it in May! Looks like you had a fabulous time! Thanks so much for sharing and for joining in on the blog hop fun today! Fantastic slide show! Loved the shots and the music, great job! I'm now even more excited for my upcoming trip! Great slideshow! I would love to try out some of the food offered this year. Fabulous job with the slideshow, Ami! Great slideshow! When we were there only Mike was up for the Monsters University display. I think that is one of my favorites from this year!